The Holocaust was one of the most important events of the 20th century and is perhaps the most significant genocide in human history. It occurred from 1933 to 1945, and over 11 million people were executed as a result of the ideals of Adolf Hitler and the Nazi Party. In total, 6 million were Jewish people, while the other 5 million included several other groups, including: disabled people, homosexuals, communists, Soviet and Polish prisoners of war, gypsies, and other religious and ethnic minorities. Historians have identified several causes of the Holocaust, with anti-Semitism being one of the main ones. Anti-Semitism is best defined as a prejudice or hatred of Jewish people. ​By the 1930’s, Europe, and the rest of the world, were in the grips of the Great Depression, which saw unemployment increase rapidly. As well, Germany was experiencing hyperinflation (a loss of value in their currency) due to the reparation payments of the Treaty of Versailles which was forced upon Germany at the end of World War I. These two events combined to set the stage for the growth of anti-Semitism and eventually the Holocaust. 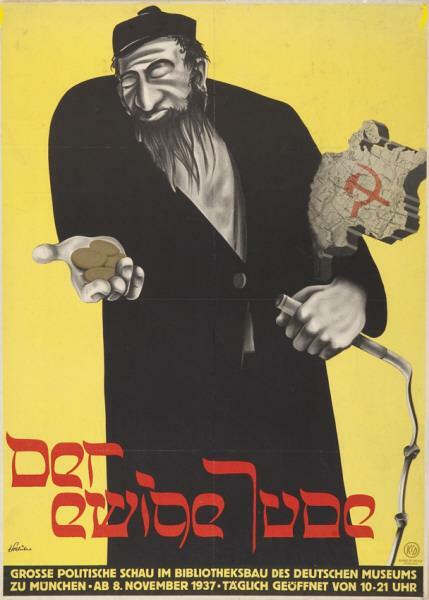 Since Jewish people were historically stereotyped as controlling banks and other sources of money they became an easy and convenient target for the source of Germany’s economic problems. Hitler and other prominent Nazis, including Joseph Goebbels, blamed the Jewish for many of Germany’s problems in speeches and rallies throughout the 1930s. For example, Goebbels, who was the Nazi Propaganda Minister famously, declared that “every Jew is a sworn enemy of the German people”. As well, in 1940 the film, The Eternal Jew, was created as a means of showcasing Nazi anti-Semitism.